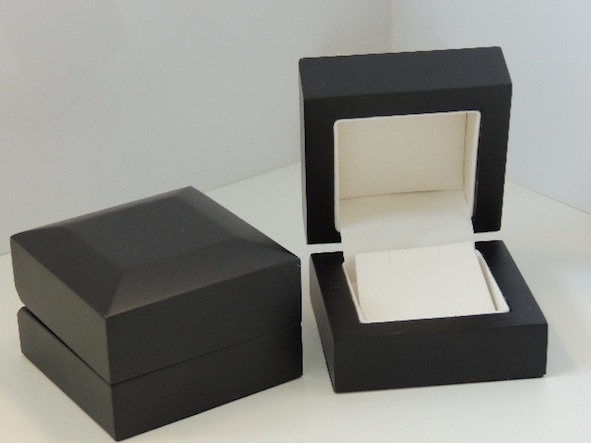 Created during Super Typhoon Haiyan these wooden boxes have thick sturdy walls that will protect any set of earrings comfortably positioned on the soft white leatherette interior ramp. Not suitable for printing. No minimum order restrictions. Comes in a two piece white cardboard box.